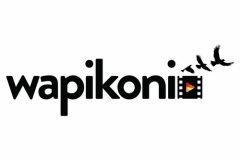 Wapikoni is on a Canada-wide tour to screen some of the best films in their collection and they are stopping at the original K'omoks Village Site. 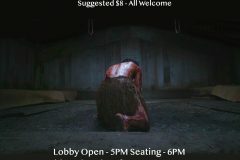 Everyone is welcome to come and enjoy this free screening. 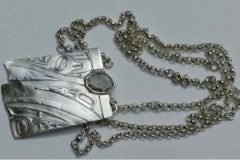 Come see Morgan Asoyuf's breathtaking jewelry designs in the Gallery Shop where she combines classical art and design of the Ts'mysen people while using classic European gold smithing, bronze casting, and fashion design techniques. 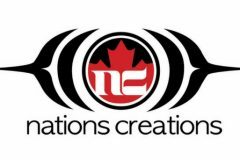 In recognition of Aboriginal Awareness Month, Nations Creations & Abbotsford Arts Council is honored to present the 2nd Annual Aboriginal Arts and Culture Day, an opportunity for the community to come and learn about Aboriginal arts, culture, history and traditions. 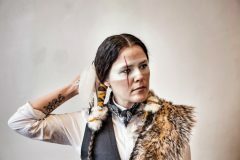 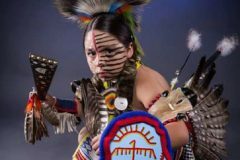 On Thursday, June 15th at the Christ Church Cathedral for Giving Voice, a cross-cultural musical celebration for people of all ages and backgrounds featuring over a dozen Indigenous and non-Indigenous artists. 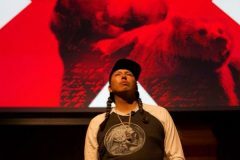 Curated by Sister Says, Giving Voice combines a variety of musical styles including soul, blues, and hip-hop for a truly unique evening that celebrates the living cultures of the Northwest Coast through music. 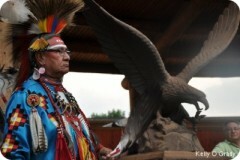 33rd annual Chief William Fathers Day Traditional Pow Wow honours fathers with competitions, dances and pageantry. 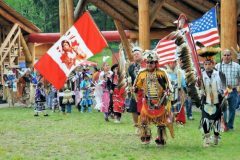 Tradition is everything and keeping in step with tradition and the drum, June 16-18, 2017 will be the 33rd annual Chief William Fathers Day Traditional Pow Wow in Williams Lake, BC. 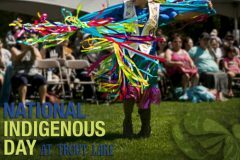 Celebrate National Aboriginal Day at Lakeshore Resort & Campground. 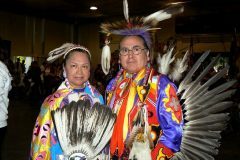 The day starts with a pancake breakfast, lead my Grand Entry, a frybread competition, a hypnotist, and more! 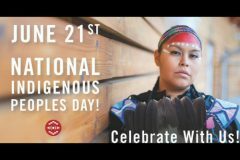 Celebrate National Aboriginal Day 2017 in Abbotsford at the Thunderbird Memorial Square on Wednesday, June 21st, from 4:00 PM – 7:00 PM! 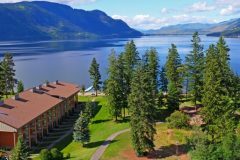 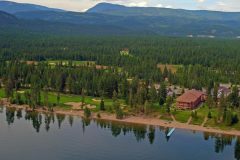 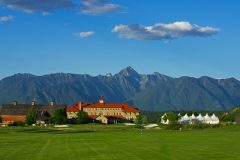 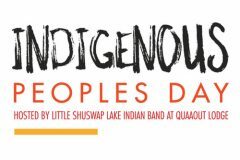 Celebrate National Aboriginal Day in Secwepemc territory with Quaaout Lodge. 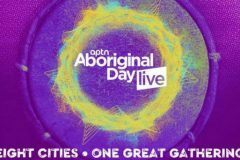 Join the gathering for Aboriginal Day Live 2017 at Trout Lake in Vancouver on Wednesday, June 21! 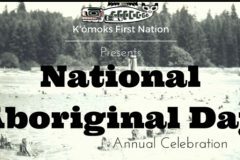 Celebrate National Aboriginal Day in the beautiful Comox Valley with the K'omoks First Nation, Kumugwe Cultural Society and guest nations. 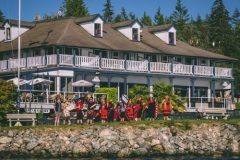 Join Saysutshun Newcastle Island for unique storytelling, interpretive tour and a traditionally cooked sockeye salmon BBQ demonstration and meal. 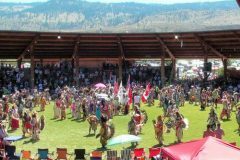 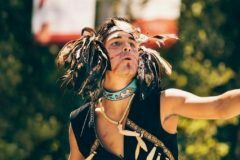 Celebrate the Secwepemc people's heritage in a spectacular way, at the 38th Annual Kamloopa Powwow! 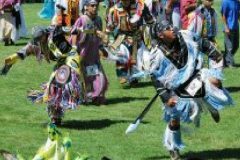 Join Xat'sull First Nation in honouring the salmon at their annual traditional powwow! 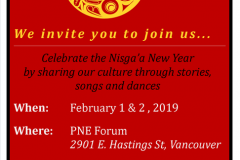 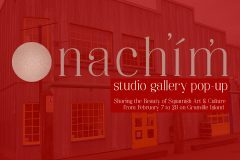 Celebrate the Nisga’a New Year by sharing in their culture through stories, song and dance. 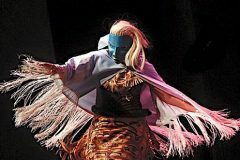 Hobiyee takes place annually at the PNE Forum. 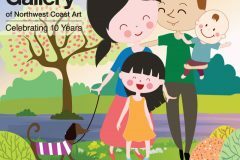 This free family event is great for all ages. 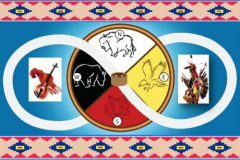 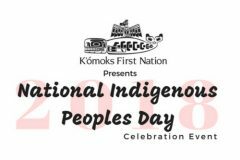 Join Penticton First Nation on June 21st as they celebrate Indigenous People. 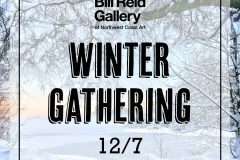 This is an all ages, FREE event. 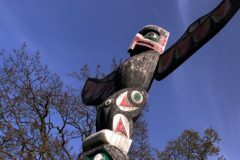 The Port Moody Ecological Society hosts the Welcome Post Project Traditional Coast Salish Blessing Ceremony. 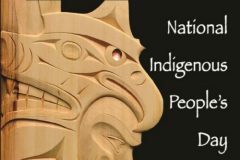 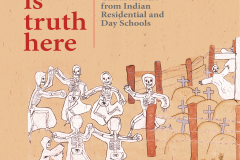 Celebrate National Indigenous Peoples Day. 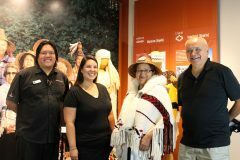 Bless and raise Port Moody’s first community designed Coast Salish House Post. 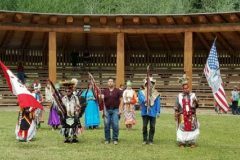 Enjoy traditional drumming and singing. 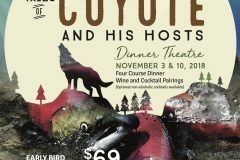 Eat together in a community complimentary Feast. 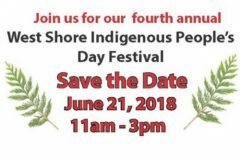 Indigenous Perspectives Society and community partners are hosting our fourth annual West Shore Indigenous People’s Day Festival on June 21, 2018 from 11 am to 3 pm. 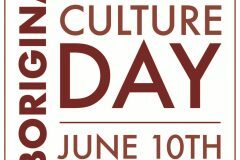 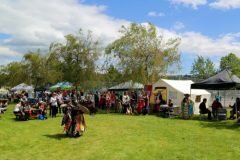 Festivities include traditional singing, drumming and dancing, free children’s activities, a free lunch and information booths showcasing the organizations partnering to host this great community cultural event. 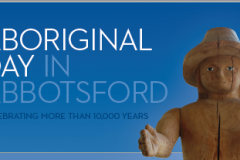 Learn how the Squamish and Lil’wat people, land and animals are intertwined. 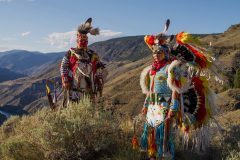 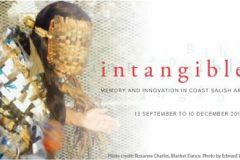 Traditional songs and dance are presented with narration, colourful regalia and props in a vibrant performance. 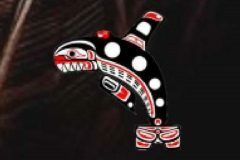 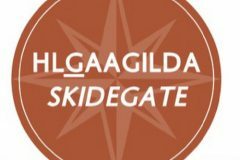 Join the Haida Nation and Ocean Networks Canada for an afternoon event featuring live footage from the underwater exploration of the SGaan Kinghlas Supernatural Being Looking Outwards seamount. 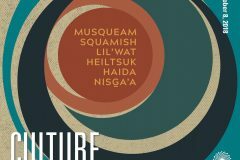 Learn about the Northeast Pacific Seamounts Expedition and ask questions about the research expedition, seamounts, and the many marine species that call them home. 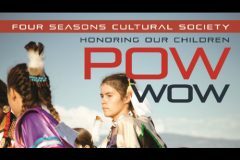 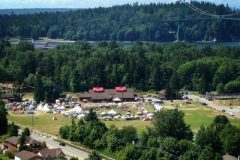 Squamish Nation 31st Annual Youth Powwow, July 13-15, Grand entry Friday 7pm, Saturday 1pm & 7pm, Sunday 1pm. 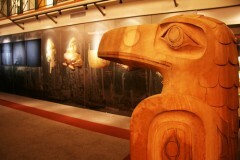 Located on Squamish Nation, Capilano Reserve. 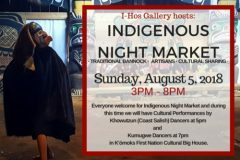 Salmon BBQ, Indigenous Arts & Crafts. 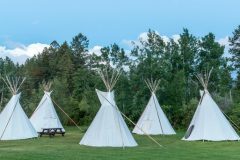 Camping available. 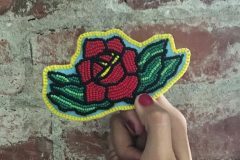 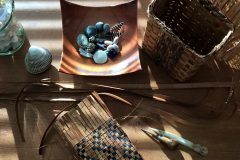 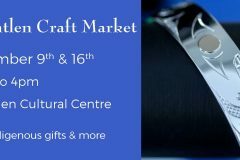 The Kwantlen Craft Market will feature talented local Indigenous artists’ work as well as other great crafts. 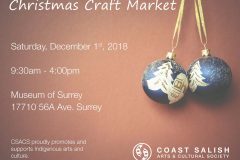 December 9 & 16 from 10 – 4pm. 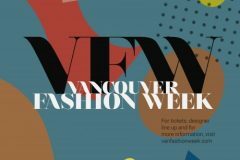 Tourism Vancouver’s Dine Out Vancouver Festival has begun! 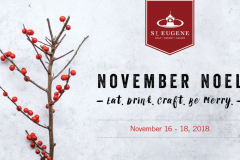 The festival runs from Jan 18 to Feb 3 and features a full schedule of dining events and culinary adventures. 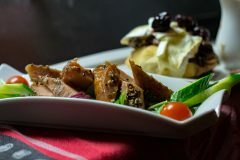 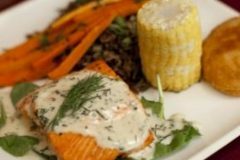 Over 200 of Vancouver’s finest restaurants will be serving up delicious dinners including Indigenous restaurant Salmon n’ Bannock Bistro.